Stripes available - call us. *Stripes are available at $115.00 extra. 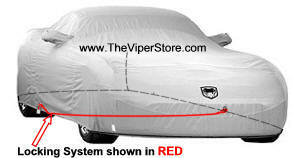 The Cable loops through the precut holes (grommets) on each side of bottom of your Car Cover pulling it taunt. Then locks it so no one can pull it off and steal it or it won't come off in a wind storm. 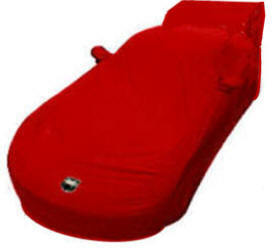 Fits all car covers for all cars. 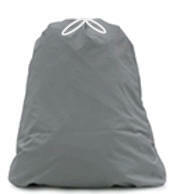 Holds car cover when not in use. Made with soft cotton blend material. 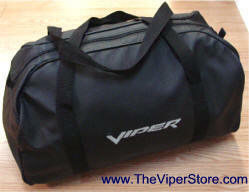 Easily closes with a drawstring.